Welcome to the Jackson County (IL) Circuit Clerk’s Official Website. 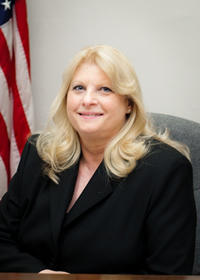 Currently the Jackson County Circuit Clerk position is held by Mrs. Cindy Svanda who has served Jackson County for more than 20 years! Thank you for taking the time to visit our county online. Our goal is to make access of case information more accessible and to make better use of the resources available. We believe in efficiently serving the public; in a timely, professional and cost-effective manner for all. We are continuously looking for ways to improve our website and serve the needs of the public better. If you don’t quickly locate what you are looking for, feel free to contact us. The Clerk’s Office has begun emailing Notices of Court Dates to the parties engaged in cases rather than handing out paper copies in the courtroom and through the postal service. While the potential benefits of this switching to electronic notices are numerous, it also poses certain concerns that come with the nature of email.